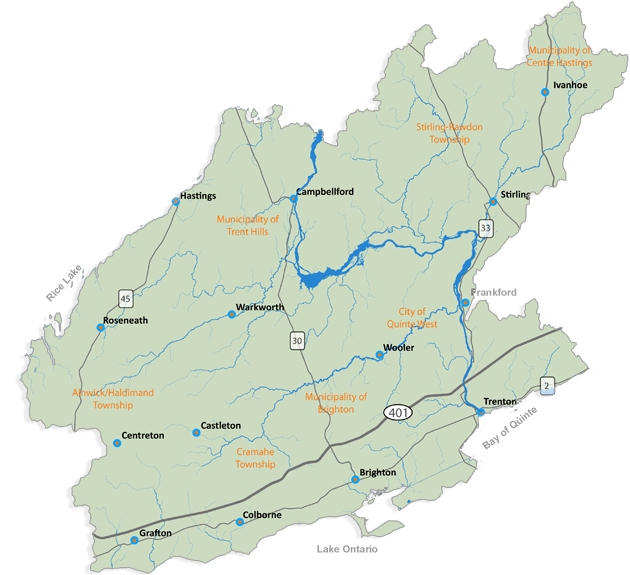 Lower Trent Conservation: Conservation Lands - Watershed management, conservation areas, policy information, & contacts. Get Outside! Discover the Wonders of NATURE! Healthy ecosystems such as forests, wetlands, lakes, rivers and green spaces provide safe water resources, healthy food, clean air, cooler environment, and opportunities for more physical activities in parks & conservation areas which contributes to both healthier bodies and minds. Spending time in nature has many health benefits and is a great way to energize your body and mind! Find out more about ways our environment boosts your health and how you can energize your body and mind by Stepping into Nature at one of Ontario's 270 Conservation Areas. Compared to an urban setting, walking in nature has been shown to reduce anger, improve positive affect, and lower blood pressure. Regular use of natural areas for physical activity can reduce the risk of mental health problems by 50%; being active in natural settings even once a week might prove protective. The benefits of walking or running in a natural setting compared to indoors include: greater sense of revitalization and positive engagement, decreased tension, confusion, anger, and depression, increased energy, and a greater intent to repeat the activity. Whether it is skipping a stone, finding a geocache, catching a butterfly, going on a walk barefoot, or catching a falling leaf, there are lots of fantastic activities you can do in the great outdoors. Many of them are right in your own backyard! Visit one of our 10 Conservation Areas. Check out these Amazing Things to do before you're 12! – or after you’re 12! Click on the icons on the map below to go to each conservation area's page. Parks and open spaces are essential requirements of a healthy community. Over 1,500 hectares (3,750 acres) of natural open space are held in public trust by Lower Trent Conservation.These forests, valleys, meadows and wetlands form part of a regional system of protected landscapes that depict the natural diversity of the region. They are special places in the watershed that are protected from development, where the natural world comes first. There are 17 properties in total that range in size from small parkettes to over 650 hectares. All properties are open to the public from sunrise to sunset. There are no admission fees to any of the properties although donation boxes are located at several locations to assist us with ongoing maintenance requirements.